Natrol Biotin Maximum Strength is a 100% vegetarian B-vitamin supplement that encourages hair growth, strengthens nails and improves skin quality. If you have been experiencing hair loss symptoms like a receding hair line, thinning hair, dull and lifeless hair strands, this indicates your hair needs extra nourishment. Biotin (B-vitamin) is considered as one of the most effective compounds that supports hair growth, and several manufacturers are offering products based on Biotin to make the best use of this beauty vitamin. Before we tell you how Natrol Biotin Maximum Strength can encourage hair growth, let’s take a look at the various health benefits of Biotin. This is an essential water-soluble B-vitamin also referred to as vitamin H or vitamin B7 that many people lack in their daily diet, causing a deficiency. Biotin acts as a coenzyme that helps in breaking down proteins, fats, and carbohydrates to convert them into energy. If you take Biotin supplements daily, it can help bring your metabolism back to normal. Studies have shown that men and women who are Biotin-deficient show signs of hair loss, thinning hair, and weak and brittle nails that can break easily. Some of the other symptoms of Biotin deficiency are depression and fatigue. Taking Biotin supplements daily not only helps in promoting hair growth but also gives your skin a youthful glow. This hair growth supplement is developed by Natrol, a leading manufacturer of minerals, vitamins and supplements. Natrol has been in the industry for more than 35 years and is versed in what works and what doesn’t. The company is committed to excellence and they operate on five main principles – quality, innovation, customer service, people, and cost effectiveness. They are committed to delivering safe and effective supplements formulated using the highest quality ingredients. The recommended dose for Natrol Biotin Maximum Strength is only 1 tablet per day with meals. If you have a certain medical condition then you must consult with your healthcare professional before taking. Pregnant or breastfeeding women should also seek their doctor’s advice before taking the supplement. Please remember that this is a dietary supplement that works inside out, so don’t expect to see overnight results. However, you should be able to experience improvement in hair quality and growth within 5-6 weeks or so. Natrol Biotin Maximum Strength works like a dietary support for healthy hair and nails. It contains Biotin, which breaks down carbohydrates, proteins and fats into macronutrients so that they can be easily absorbed by the body. By doing so, it increases the energy levels within the body and supports the matrix of hair and nails. Natrol makes the product entirely in the USA in its state of art facilities. It uses only the best quality ingredients to formulate FDA approved dietary supplement. It also contains other ingredients such as stearic acid, silica, cellulose, methylcellulose, cellulose gum, magnesium stearate, and glycerin. Magnesium stearate is an effective ingredient that stops Biotin components from sticking together. It also helps in better absorption of other Biotin components within the body. Cellulose is a type of filler used in Biotin supplements. These are water-insoluble Biotin elements that further help in hair growth. The supplement is formulated following high-quality standards. It is purely vegetarian as it does not contain milk, egg, fish, crustacean shellfish, soybeans, tree nuts, yeast, corn, wheat, peanuts, artificial colors or flavors. It contains no added sugar, preservatives or starch. This Biotin supplement comes in tablet form. These tablets are easy to swallow and you just need to take one tablet a day. 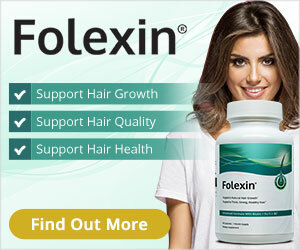 The product contains a 100-day supply, so you get enough time to see whether Biotin works for you or not. What we like best about Natrol Biotin Maximum Strength is that it is not a topical treatment and it does not make far-fetched claims. It promises to nourish your body from the inside by promoting cell growth and development. It encourages body metabolism and rejuvenates the infrastructure of hair, nails and skin. Natrol Biotin Maximum Strength contains 100 tablets in its one month supply pack. The product is highly affordable. While the product does offer amazing results as far as hair growth is concerned, it may add a couple of extra pounds to your weight if you are not careful. If you are able to manage that side effect with some extra exercise and change in diet, then there’s nothing to worry about. The Natrol Biotin Maximum Strength is a powerful dietary supplement that encourages hair growth and strengthens nails. It delivers satisfactory results. At this price, we wouldn’t expect more. 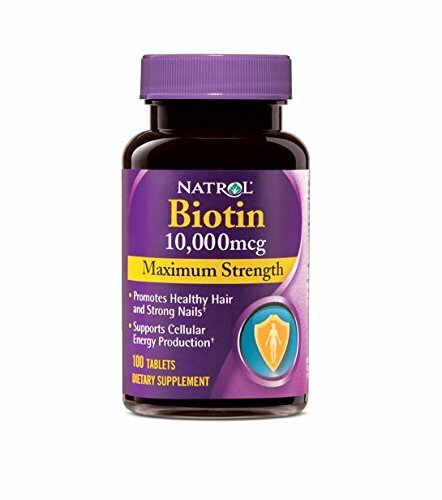 Overall, this is a recommended Biotin supplement for anyone looking to grow healthy hair and nails.